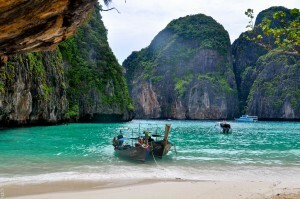 Planning a trip to Thailand and confused about how and where to spend your time? Yes, we’ve all been there before. Read our quick summary of Team #DiscoverAmari’s recent experience with media professionals from the Middle East to get an idea of what’s on offer to see, do and eat in the country’s royal capital of Bangkok and popular island destination Phuket. 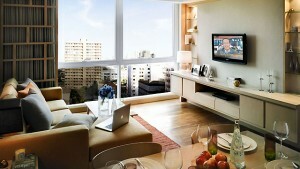 STAY: Try something different — experience the luxurious serviced residences at Amari Residences Bangkok. The extra bedrooms, living space, modern amenities including a kitchenette, rooftop pool and fitness centre are the perfect fixings to make you feel right at home. Located on new Petchburi Road, just 10 minutes away from Bangkok’s most popular entertainment districts, you’ll stay comfy and central. Chatuchak Market: Spend a day exploring in Bangkok’s largest outdoor bazaar – Chatuchak Weekend Market. 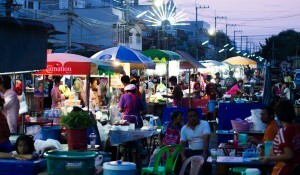 Established in 1942, the market also known locally as ‘JJ Market’ was originally part of a national policy that required every province in Thailand to have its own market. Today, the market has more than 8,000 stalls and vendors divided into 27 sections offering a wide variety of products from handicrafts to clothes to antiques. There is something for everyone here and your trip to Bangkok is imcomplete without a visit to Chatuchak. Learn more. 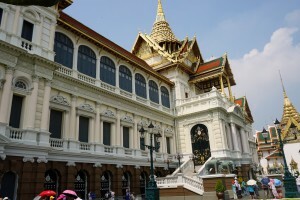 Grand Palace: Discover Bangkok’s regal history and heritage with a visit to the royal Grand Palace complex and the impressive Wat Arun temple just across the river from the complex. Learn more. 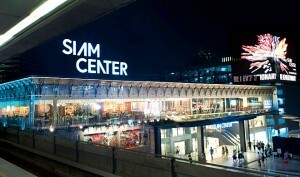 Shopping: From maze-like markets to mega malls, Bangkok is every shopaholic’s paradise. However, navigating the busy roads and the unpredictable traffic can get overwhelming. So we’ve scouted the city’s top shopping spots accessible via the Bangkok Mass Transit System (also known as the BTS or Skytrain) to make your life a whole lot easier and, more importantly, give you more time to shop. Learn more. 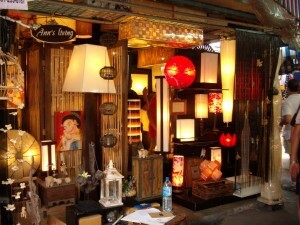 Decorative lamps at Chatuchak Weekend Market. Chinatown: Take the MRT (underground train) to Hua Lamphong station and exit at gate no.4. Head on over to Yaowarat Road — the heart of Chinatown — where you’ll find plenty of stalls and vendors offering a myriad of Thai and Chinese delicacies. At night the whole road actually turns into a ‘food street’, so be sure to plan carefully when you visit Chinatown. Here’s our recommendation on what to definitely try: Yen Ta Fo noodles (pink noodles), dim-sum, grilled jumbo river prawn, stir-fried chicken with cashew nuts, noodle soup with crispy pork and for dessert try sesame dumpling with hot ginger syrup and homemade Thai ice cream. Thong Lo (Sukhumvit 55 Road): Arguably Bangkok’s hottest entertainment and dining district, Thong Lo is wide six-lane road that snakes from Petchburi road (near Amari Residences Bangkok) all the way to Sukhumvit Road. 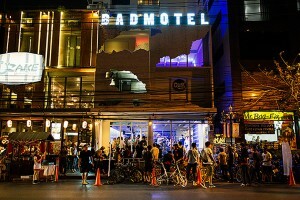 Dotted on both sides of Thong Lo road are the city’s trendiest eateries and bars. It’s a great and easy place to spend an evening or two without having to worry about getting lost, long commutes or sitting in traffic. It’s hard to recommend our favourite spots because there is so much to choose from, so depending on what you’re in the mood for we suggest doing a quick online search and adding “Thong Lo” to your inquiry to see what pops up and how to get there. Do note that Thong Lo does have smaller numbered lanes known as “soi” so be sure to keep that in mind as you plan your evening’s adventures. 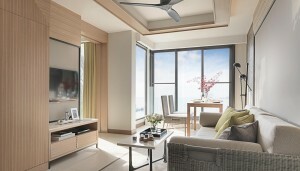 STAY: Experience the new Ocean Wing at Amari Phuket, which offers elegant suite style accommodation with panoramic ocean vistas. Located just 10 minutes from the well-known and popular Patong Beach, Amari Phuket offers the perfect balance of being close to the island’s bustling centre yet far enough for to enjoy ultimate luxury, relaxation and seclusion. 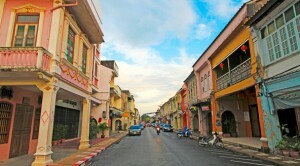 Phuket Heritage Trails Walking Tour: A leisurely four-hour walking tour around the centre of Phuket Town starting with a delicious brunch followed by guided tour of the architectural heritage and Chinese influence of the area and ending at a food centre giving a chance to sample the local cuisine typical to the island. Learn more. Breeze Spa: After a day in the sun or on the go indulge in a luxurious treatment or rejuvenating massage at Breeze Spa at Amari Phuket. With a full range of treatments and services available for men and women, we’re sure you’ll find something (or many things) of interest and you’ll be back for more so plan your time well. Learn more. Island Tours: Located in the Andaman Sea, Phuket is surround by many smaller exotic islands such as Phi Phi Island, Similan Islands and infamous Jamses Bond Island that are ideal for half or full day excursions. Depending on what you’re in the mood for — a boat cruise, snorkeling over shallow reefs or advanced deep sea dives — there are many different kind of tours available. Check with the concierge at Amari Phuket for more information and details. La Gritta: One of the trendiest places to dine, La Gritta at Amari Phuket offers fine Italian cuisine including a diverse array of antipasti, handmade pastas, authentic Italian meats and fish dishes and delectable desserts as well as premium wines and creative cocktails. 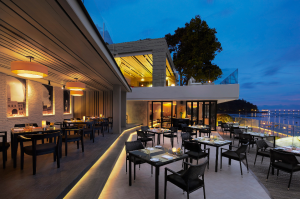 In addition to the sumptuous contemporary menu, what sets La Gritta apart is its envious location by the sea with breathtaking views over Patong Bay. 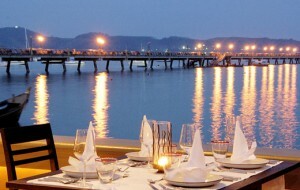 Raya: If there is one restaurant to visit in Phuket, this might be it. Serving up the best Southern Thai food available on the island, two sisters run this quaint eatery set in a two-storey Sino-Portugese house. 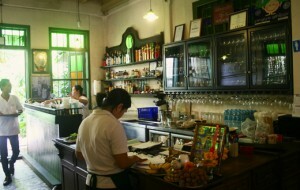 Some top recommendations include: caramelised, braised pork belly, the deep-fried sea bass sprinkled with shallots and red chillies in a tamarind and lemongrass sauce, and the signature deep-fried chicken with turmeric, crabmeat curry with coconut milk and mee hoon noodles, and ground shrimp and chilli. Learn more. Kan Eang @ Pier: A 40-year old dining institution on Phuket Island, Kan Eang @ Pier offers scenic views over Chalong Bay and some of the best grilled seafood you’ll ever have. Using a unique typical to southern Thailand, the chefs use coconut husks instead of charcoal to slow-cook the meat and infuse it with rich flavours and aromas. Top dishes include delicious prawn cakes accompanied by a piquant sauce, curried crab mousse steamed in banana leaf (hor mok), the seafood basket for two (combination of tiger prawns, Andaman blue crabs, cuttlefish, egg fried rice and stir-fried mixed vegetables) and creamy curry of crabmeat and coconut hearts served with steamed white noodles and fresh bean sprouts. Learn more. Planning your itinerary just got easier! Look out for the #DiscoverAmari hashtag on our social media channels (Facebook, Google+, Instagram and Twitter) and visit Destination Amari for exciting new sites to visit, places to eat and things to do with Amari.